“I ended up needing to engrave about 30 pages of music in eight hours, and I just managed to finish before the deadline thanks to Dorico.” Those were the words of composer Benjamin Krause, when he got in touch to tell me about the process of composing his work Taxonomies of Pulse, a commission from the Music Teachers National Association in the United States. 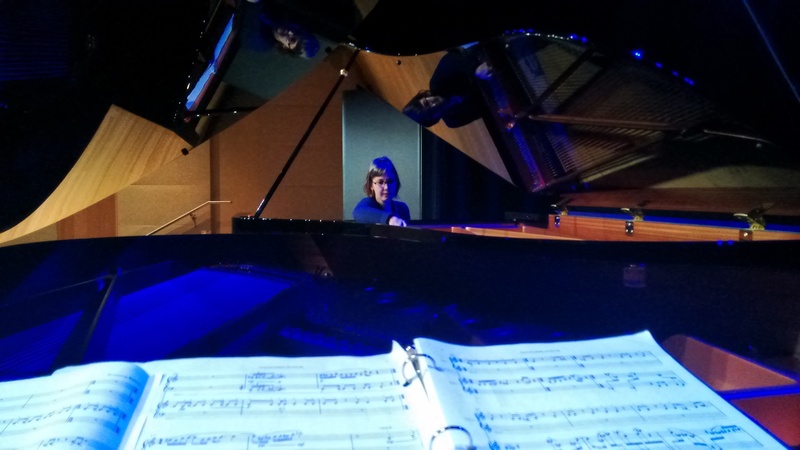 Ahead of the premiere of the work, which took place this past Saturday night at Sweetwater Sound in Fort Wayne, Indiana, I talked to Ben about the work and how Dorico helped him meet his deadline. 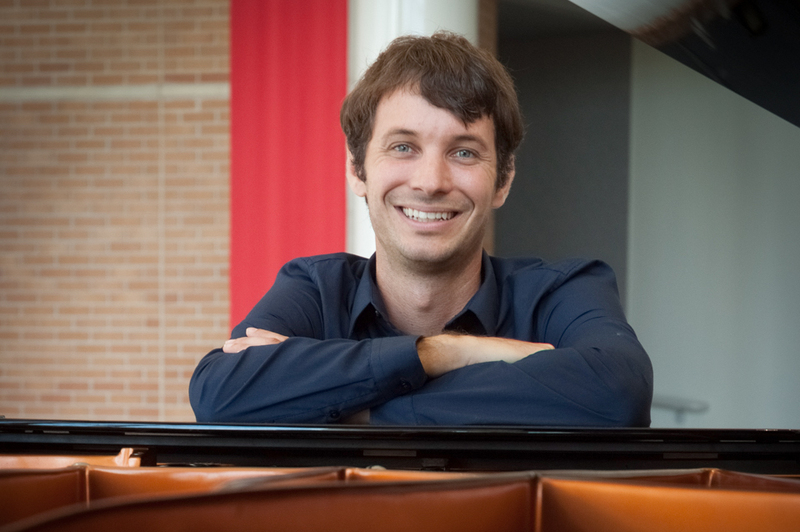 Ben Krause has a busy career both as a pianist and a composer, and the commission from the MTNA is just one of several he has been working on this year. Ben holds degrees from both Rice University and the University of Oregon, and is also active as an educator. 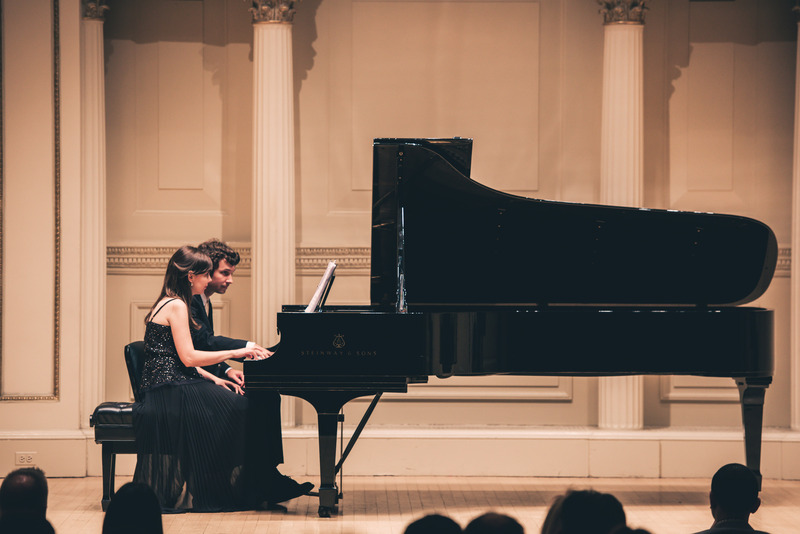 He has been the recipient of a number of awards, and this autumn is enjoying a residency at Brush Creek Foundation for the Arts in Wyoming and, early next year, will be in residence at Aaron Copland’s historic home in Cortlandt Manor in New York state. In his work as a composer, he draws freely from many historical periods and traditions, and his music is characterised both by the intense rhythmic drive of twentieth century concert music and by the dense and adventurous harmonies of jazz. DS: Tell me about Taxonomies of Pulse. BK: It was the first major project for which I used Dorico. I ended up needing to engrave about 30 pages of music in 8 hours, and I just managed to finish before the deadline thanks to a couple of Dorico’s most helpful features: smart note-spelling, great spacing and layout algorithms, and especially the automatic correct notation of rhythmic patterns, particularly syncopations. The work deals mainly with a variety of odd rhythmic relationships, and Dorico was a great fit for it and in general made my life much easier. DS: The premiere this weekend is at the annual Indiana Music Teachers Association Conference. Will you be performing it yourself? BK: My wife, Christina Giuca Krause, will perform it with me. 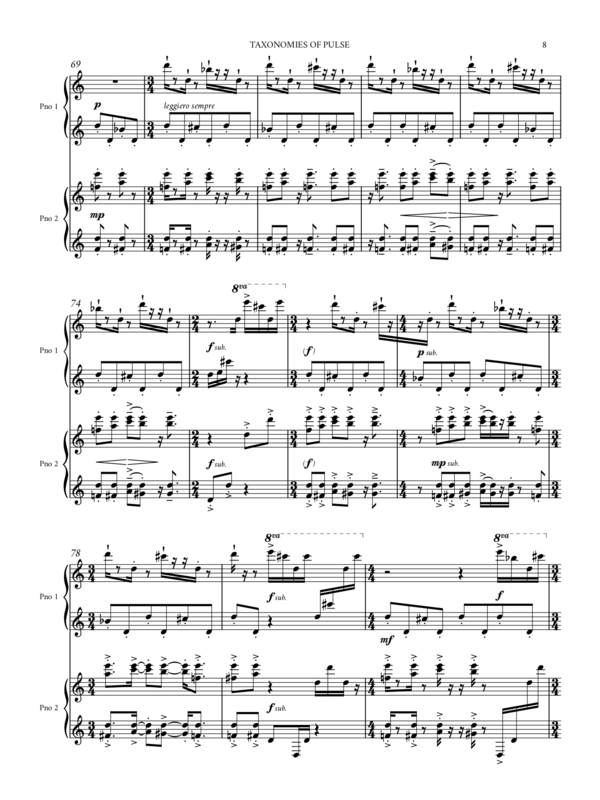 I decided to make this project my gateway into possibly using Dorico as my primary notation software; previously, I had used it for a short arrangement project for voice, cello, and piano, and I had also imported some older scores in MusicXML format. I was impressed by the elegant, clean notation and most of all the speed at which I was able to make edits and input the music. A page from Taxonomies of Pulse. DS: From the title of the work, I imagine that a rhythmic drive is at the heart of what you were hoping to achieve with the piece. Rhythmic flexibility is also at the heart of how we approached the design of Dorico’s way of thinking about music. Did it help in the way you put the piece together? BK: In Taxonomies, I deal a lot with syncopation, conflicting pulse-levels, mixed meter, and related rhythmic and metric issues. 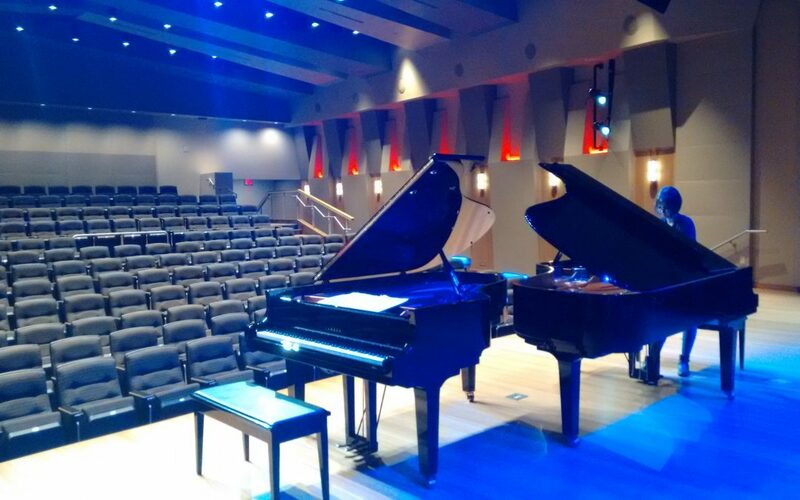 Perhaps the greatest joy in using Dorico for this project was the ease at which I could enter specific durations and let the software automatically notate them according to the meter – and, moreover, edit the resulting values without changing their rhythmic placement. Dorico also provides a lot of flexibility with changing meter. My favorite concept, on the whole, is the popover menus that appear to let you change and control any number of elements on the fly: meter, clef, playing techniques, and so on. Creating and editing pedal lines, in particular, was a huge plus I also liked the separation of the writing (or input) process to the engraving and fine-tuning of visual details. It was actually fun for me to keep returning to the score to make aesthetic changes, play around with the page layout and spacing/sizing options, and continuing to scroll through to make fine edits without worrying about accidentally changing the musical content. DS: Thanks for taking the time to talk to me, Ben, and best of luck with the first performance! Ben and Christina rehearsing ahead of the premiere. To find out more about Benjamin Krause, please visit his web site. If you’ve not tried out Dorico for yourself, you can download a fully-functional 30-day trial version absolutely free.